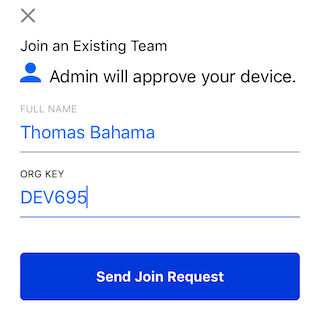 Below are the steps to connect your device to an existing organization through our mobile application. To add a device, you will need to go to the "Devices" page or "Dashboard" and click the "Invite Device" link. 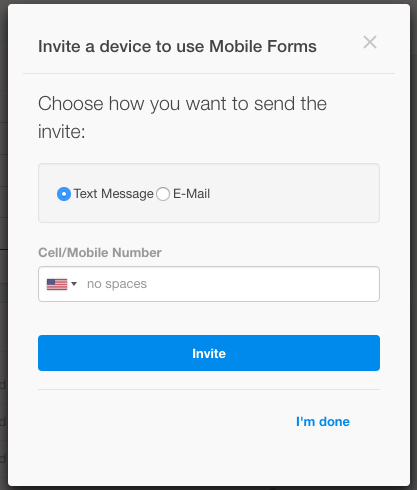 If the device you wish to add has a valid email address or phone number, you can send it an invite to connect to your organization. When you're done inputting the device details, click "Invite". In a few minutes, the device should receive a text message or email. Open the message and follow the link to download the app in the relevant app store. See a sample email below, I've circled the "Organization Key" which you'll require a bit later. 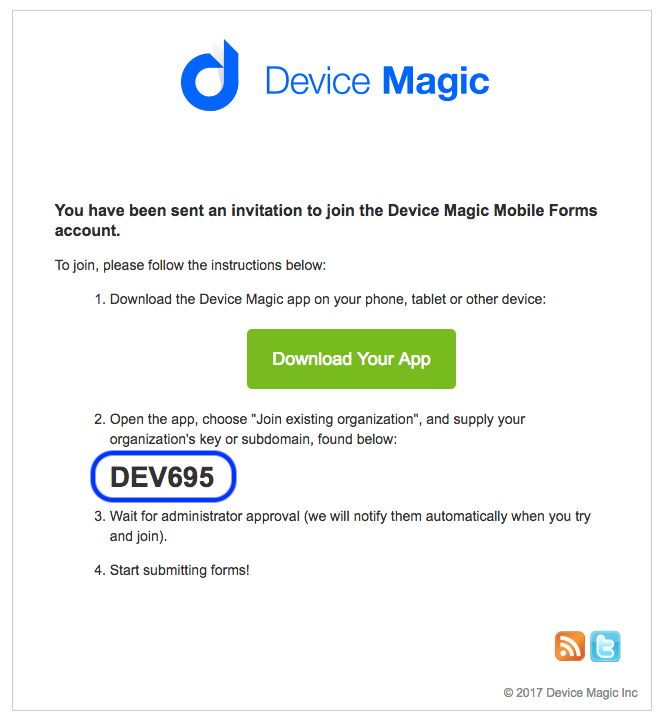 Alternatively, you can direct the device owner to download Device Magic's Mobile Forms app from the relevant app store. Please search for "Mobile Forms" in the App Store (iOS) and "Forms" in the Google Play Store (Android). There will be an option to install when viewing the listing, please choose this option. 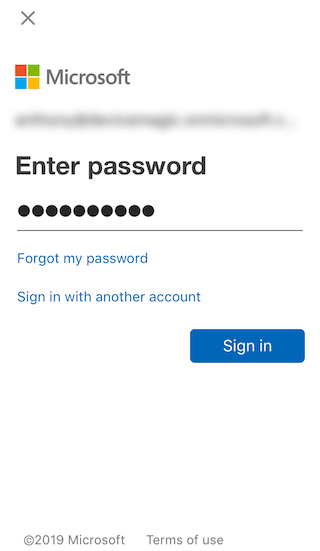 If you already have a version of the "Forms" app, it may ask if you wish to replace it. 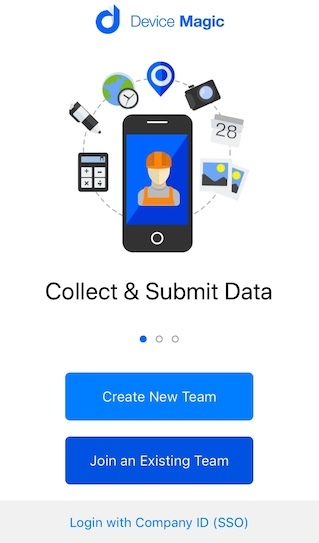 When the app starts up for the first time, you will be asked if you would like to "Create New Team" or "Join an Existing Team". If you received this invitation by text/email or created an organization when going through the earlier steps in this guide, select "Join an Existing Team". 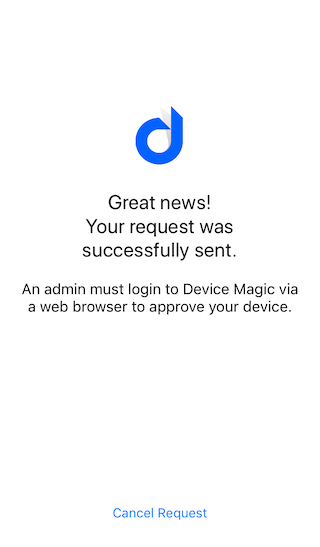 If you'd like to create a new Device Magic account, then click the "Create New Team" button, input the required information, and follow the prompts in the email you will receive. Input the "Full Name" of your device and the "Org Key". The "Org Key" can be found within the text message or email you received previously. Note: If you're an administrator of the account, the Organization Key can also be found on your dashboard. Finally, click "Send Join Request". The device will send the request and the administrator of the account will receive an email notification to approve your device. Login to the website. 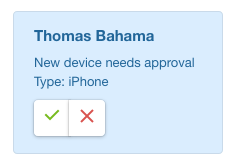 On your Dashboard, you'll see the option to approve the pending device request on the right side. Click the green check mark to approve. The mobile application will automatically move past the pending assignment screen and begin downloading your assigned forms. If your organization has setup Device Magic in Microsoft Azure's Active Directory, click "Log in with Company ID (SSO)". 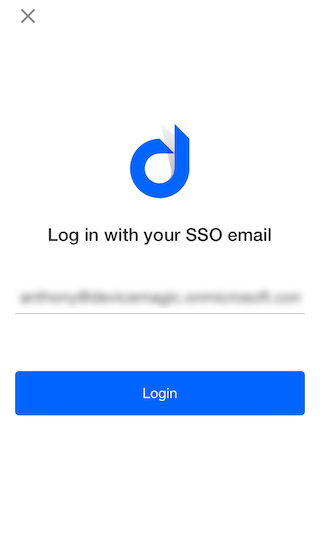 You will then be prompted to enter your SSO email in the app. You''ll then be redirected to Microsoft where you will enter your Active Directory password. After, click "Sign in" and follow any other required steps (ex. two factor authentication). Another redirect will occur and you'll be logged in. Your assigned forms should then attempt to download.